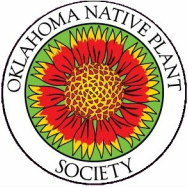 ​The Oklahoma Native Plant Society is hosting its annual statewide Indoor Outing at McLoud High School on Saturday, February 9. Online registration has ended. Onsite registration (without lunch option) will be available at the event. Winter Tree Identification with Constance Murray. Can you identify a tree by its bark, limbs, and buds without leaves? Come to this workshop to learn how to tell the difference between an oak, a hackberry, and others in winter. ​Lichens with Sheila Strawn. Bring your copy of “Lichen Study Guide for Oklahoma and Surrounding Areas” by Sheila Strawn, if you have one, to learn how to use the study guide and determine if you have found a lichen or moss. If it’s a lichen, what kind is it? Smudging with Brittany Jordan. Do you know what smudging is? The most common smoke-purification ritual used in Native American tradition is a technique called smudging. Using the smoke from sacred fires, or burning herbs or incense as a purification ceremony or ritual has been a common practice amongst many traditions throughout the ages. Many use forms of sage (common sage or white sage) and cedar that is local to their region. For directions to the McLoud High School from your location, click the on the interactive map below.